It's happened to the best of us, especially now in the dog days of summer: TFW you're about to leave your office for the night and out of nowhere there's a clap of thunder followed by a deluge of epic proportion. What to do? If you're Linda Fargo you D.I.Y. a Bergdorf Goodman garment bag into a chic Prada-esque rain coat. I especially love how the clear patch "window" perfectly showcases her black and white striped outfit, as well as how the thin belt sets off the look perfectly. Naturally it goes without saying that as Bergdorf's fashion director she's the perfect brand ambassador for this "outerwear." 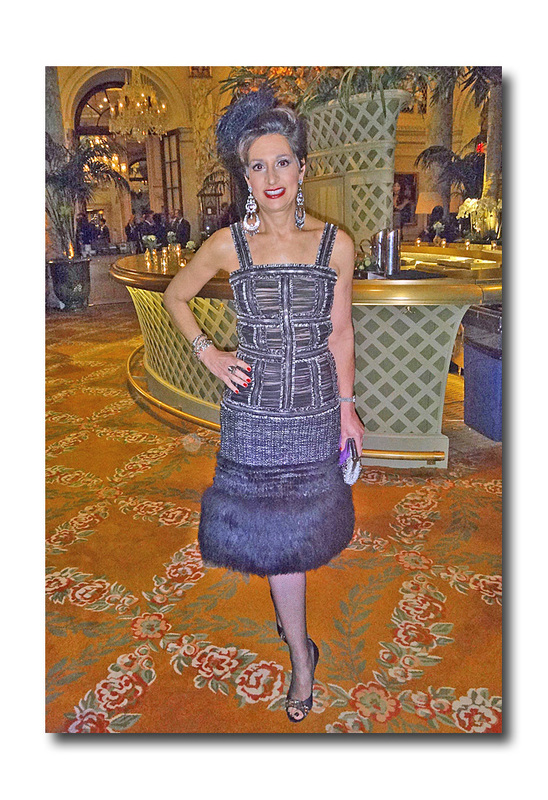 Just for giggles I attempted to get a similar look using a white canvas "The Outnet" garment bag.Using the fabric loop as a halter and without slicing the bag I decided that what I had created was really just a belted apron. 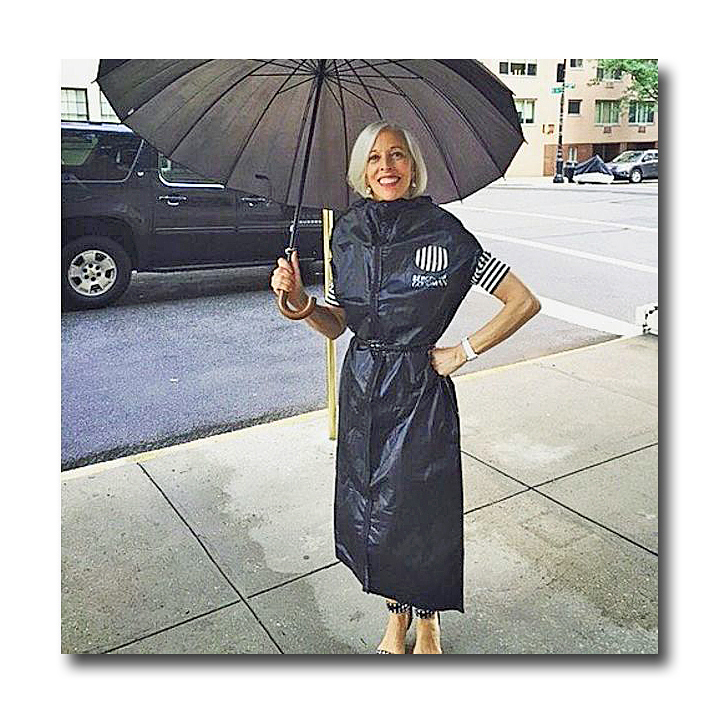 While Ms. Fargo seems to have cornered the market on garment bag couture, many celebs have raided their garbage cans sporting straight up Hefty bags -- all without even being asked to take part in "Project Runway's" infamous unconventional materials challenge. Who can forget Bradley Cooper wearing a black sack for his 2011 role in "Silver Linings Playbook"? 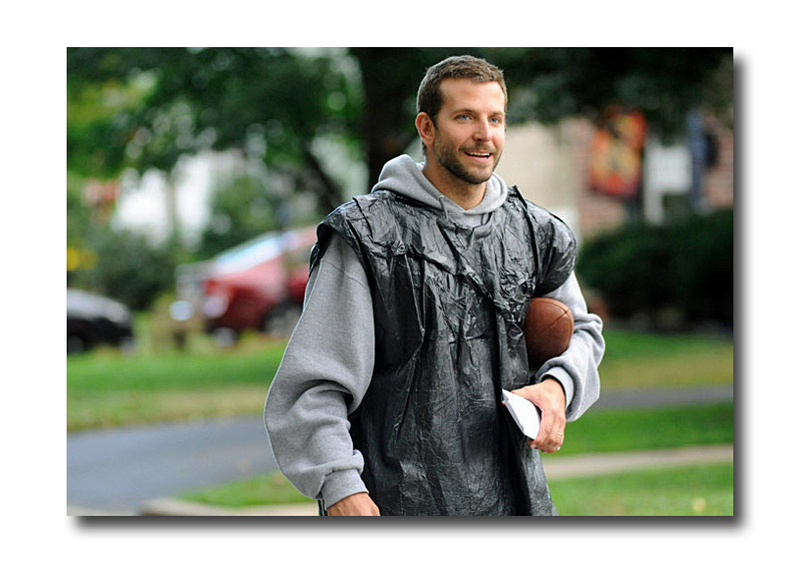 Apparently this was taken from a direct reference to the character in the book who wore a garbage bag over his sweats as a weight loss aid. (Don't try this at home -- all you'll lose is temporary water weight, says WebMD.) According to costume designer Mark Bridges, the noisy garbage bag had to be put on mute so as not to have the rustling sound picked up by the camera's mic. Perhaps the most iconic look belongs to Missy Elliott who famously wore an inflated garbage bag in her 1997 video of "Supa Dupa Fly." Legend has it that Elliott decided to give a big middle finger to the size-ist record execs who told her that she wouldn't be able to make it in the music business without a "perfect" body. An enormous inflated trash bag, some rose-colored sunglasses attached to a glittery bicycle helmet, and bam! -- she made a visual statement that still resounds today. Abbi Jacobson of "Broad City" even copied her look in a hilarious video entitled "Eight F**king Thousand Dollars" which appeared in an episode of the Comedy Central TV show. In September of last year, Lady Gaga wore garbage bag couture during New York Fashion Week. She attended the Nicopanda presentation in this mini dress (well, actually it was a shirt over denim hot pants) which she accessorized with chains and ripped fishnets, thanking designer Nicola Formichetti for her head turning look from his new collection. Stepping back a bit to 2010 we have J. 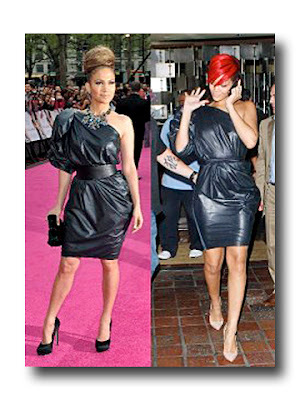 Lo and Rihanna, who went to the "bottom of the barrel," yet not too far from "throwaway chic" in these Lanvin dumpster diving looks. Who wore it better? Alber Elbaz showed large black plastic-y sacks as handbags in 2013 in case anyone wanted to crush the look of a second story man or alternately, just someone on their way to the curb. Also in 2010, here's Ke$ha (as her name was formerly spelled) at the VMA's doing her best to look as trashy as possible -- she described the look as "a celebration of being broke"-- from back in her "brushed-my- teeth-with-a-bottle-of-Jack" days. If transparency is what you're after during this election season, be forewarned --you probably won't get it. For a little controlled opposition to all the opaqueness, take a gander at the ever creative Solange slaying in her "dry cleaning bag" ensemble. She's even doing a little song and dance routine while wearing it on last month's Instagram post. If you believe that Blue Bags Matter and like to come full circle to the original idea of a store supplying the raw materials instead of a metal can, check out this raincoat made from recycled Ikea bags. 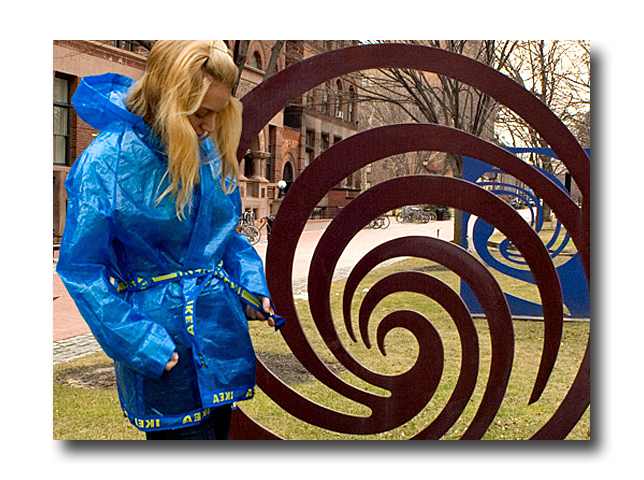 Hard to fault the crafty "couture" upcycled from four of the Swedish carryalls -- wearing it as a coat means you won't have to assemble its contents from cryptic picture diagrams when you get home.